Mix the psyllium with the water and beat until a gel is formed. Add all of the remaining ingredients. Mix and knead until a smooth dough is formed. Cover in an oiled bowl and leave to rise until approximately 2.5x the original size. 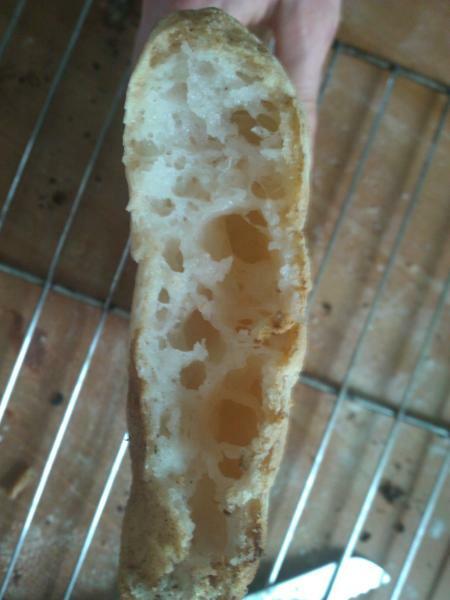 Pat and stretch on a floured baking sheet to create very flat ciabatta shapes. Prove whilst preheating the oven to 250c. Just before baking, flip the ciabattas over. Bake for approximately 20 minutes, until golden. 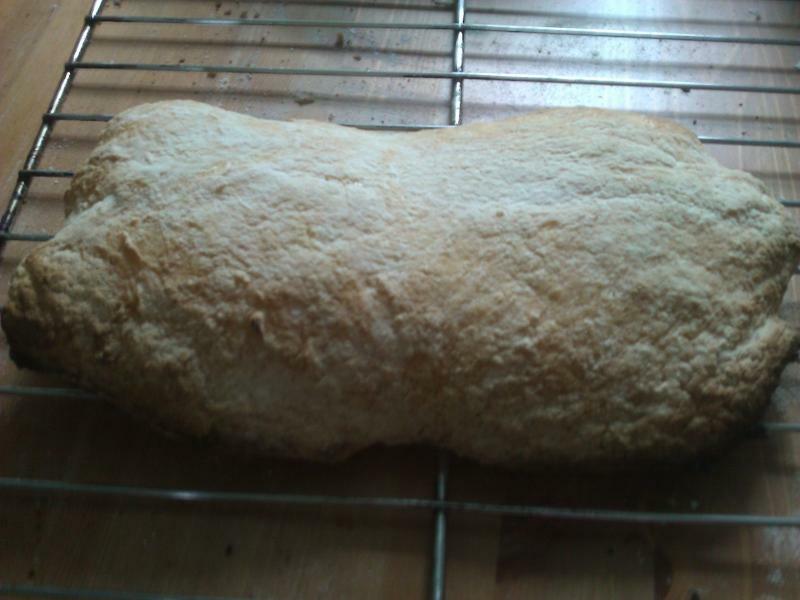 Do not cut the bread until it is fully cooled. Sorry about the terrible slice! I need a new bread knife!